Last Sunday night was a big night for Showtime. 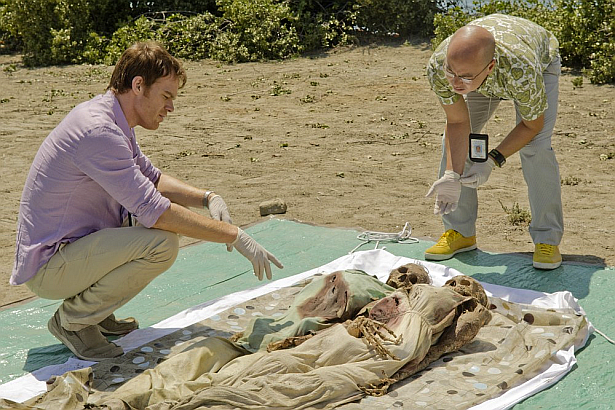 Dexter, with episode 7.05 "Swim Deep" hit the biggest ratings since the season 7 premiere, with 2,280,000 viewers. Homeland hit a series high of 2.07 million viewers. Showtime sees its biggest viewership pairing of all time despite heavy competition from World Series final and the Sunday Night Football.